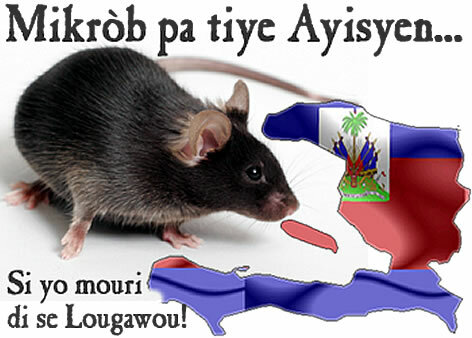 Haiti: The Lab Rat of the Modern World! Do you know what they do to lab rats? I just finished reading The Secret History of the Haitian Earthquake and the only thing that came to my mind was: "Man... Haiti is the lab rat of the developed world." Something that caught my attention... Do you share this sentiment? After the earthquake, there obviously is a little of the reverse going on, where you see ideas that have been practiced in other places exported to Haiti. And then when it fails spectacularly, the attitude is, 'Oh well, we tried this experiment and it didn't work, let's write a report and move on,' and then nobody actually has to be responsible for the impacts it's had on people's lives." We are in the last days, and JESUS CHRIST is coming back very soon. My favorite chapter in the bible is Matthew 24, and all the prophecies came to pass already. Please read your bible, confess your sins, and The King is on his way. There are a lot of different chatters about new world order, mark of the beast, and other stories. This present pope is suppose to be the last one, and a book just came out about it "Petraeus Romanus". I heard several conspiracy theories that has developed after the eartquake has devastated the country, Haiti. It is promulgated that it is the work of the HAARP aimed at controlling the world population growth.